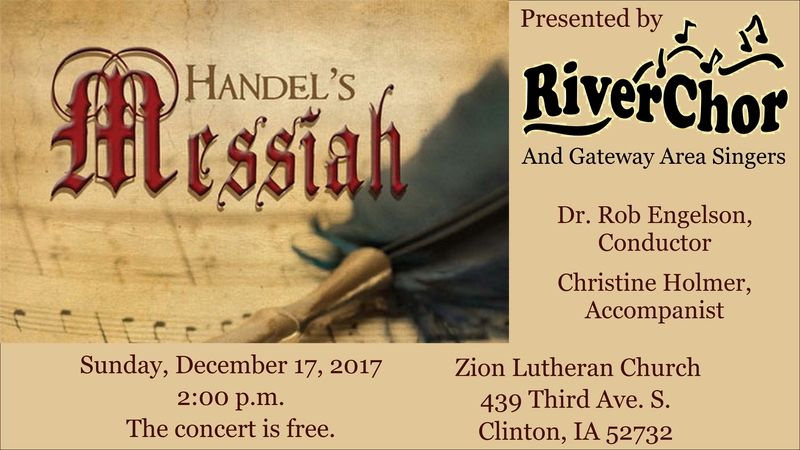 Please join RiverChor and gateway area singers in the annual Clinton tradition of Handel’s Messiah! The free concert will begin at 2pm on Sunday, December 17th at Zion Lutheran Church in Clinton, Iowa. All of Part I and selections from Part II will be presented with piano accompaniment by Christine Holmer. The group is under the direction of Dr. Rob Engelson.